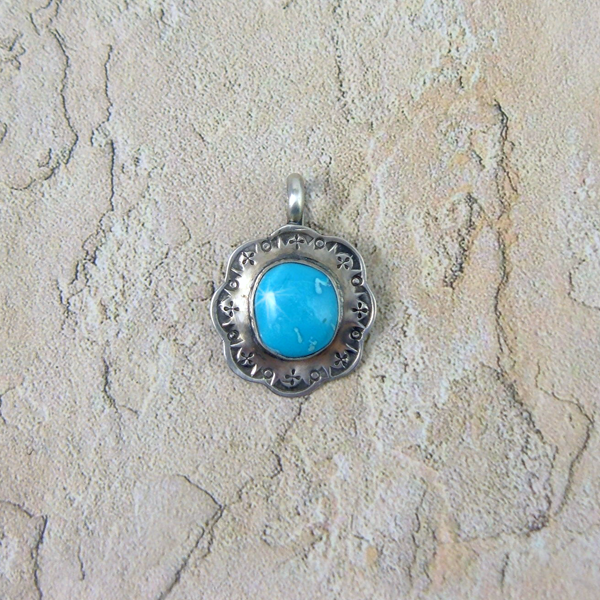 The turquoise used in this pendant is from Castle Dome mines in Arizona. It is one of the American classics when it comes to turquoise. 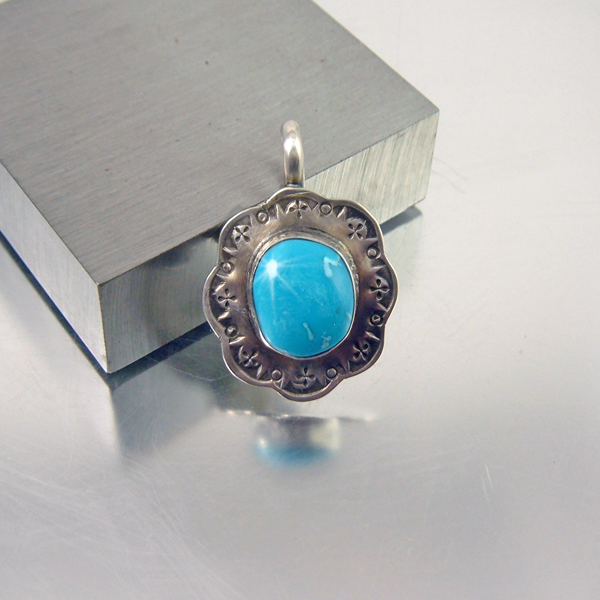 This color of turquoise was preferred and used in vintage turquoise jewelry. 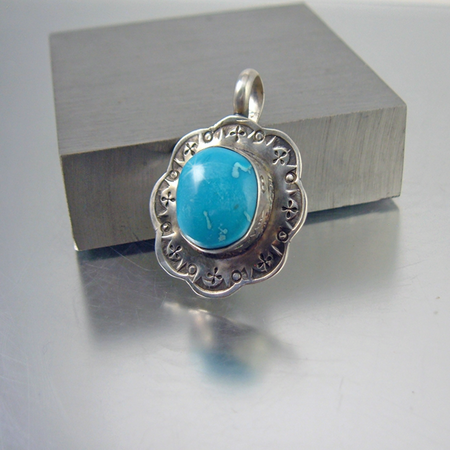 Castle Dome turquoise was one of the most predominant Arizona turquoise used in Southwest style jewelry. The Arizona mine operated from 1862 to 1979. Turquoise was mined from about 1943 and the mine closed 10 years later. It was reopened and in the 70�s it was considered Arizona�s second largest producer of turquoise, then closed in 1979. Material on the market today comes from some rock hounds or "old stash" This turquoise is truly a high quality turquoise and a collectable treasure. I used Navajo handmade stamps for the design and kept it simple in order to show off the turquoise. 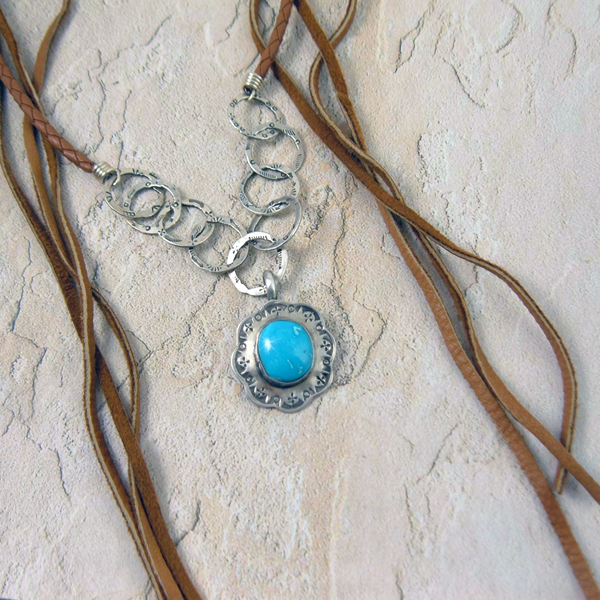 It is a turquoise and silver necklace pendant with true American West history. Wear it long or short, layered or with Navajo Pearls, on multiple chains, or on soft deerskin leather that you can adjust to length. 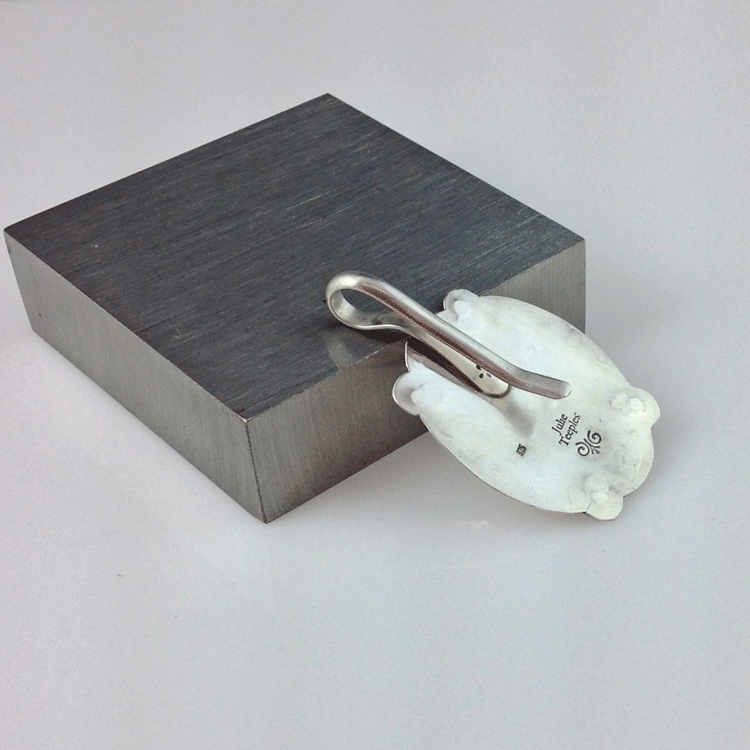 Easy to use hook, slip on, bail fits on most any chain, cord, or beaded necklace. Doesn't come off until you want it to.